Animal Wildlife | Chinstrap Penguin | The chinstrap penguin is a small species of penguin which is found in habiting the rocky land and islands of the Antarctic Ocean. 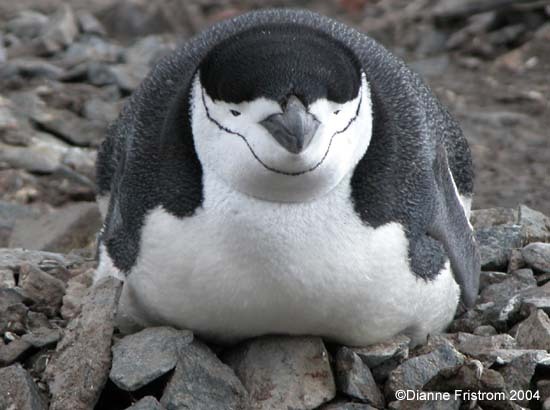 The chinstrap penguins name derives from the narrow black band under their heads. Chinstrap penguins are one of the most easily identifiable of all of the penguin species, mainly due to the marking on their chins. 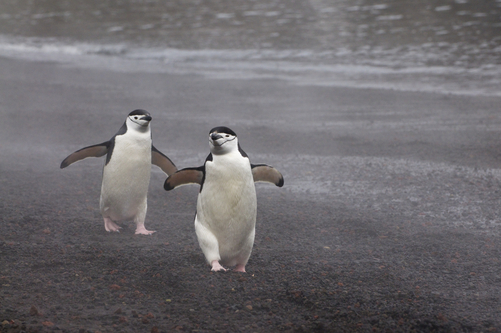 Chinstrap penguins are also known to congregate together in their millions on small Antarctic islands. There are believed to be more than 7 million breeding pairs of chinstrap penguins. 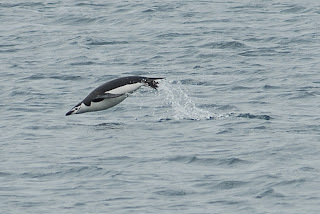 Chinstrap penguins spend their lives hunting for krill and small fish and crustaceans in the surrounding waters, coming onto land to breed, rest and to escape the large ocean predators. Chinstrap penguins are carnivorous birds, and catch numerous species of fish, crabs, shrimp, squid and krill in their strong beaks. Parents hunt for food in the ocean to take back to their chicks on the land. 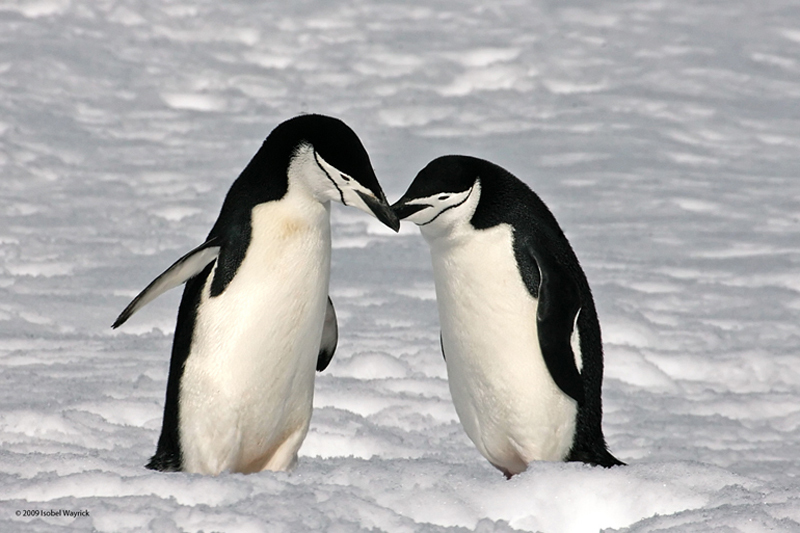 Due to the fact that there are few large animals inhabiting the frozen South Pole, the chinstrap penguin has few natural predators. Leopard seals, killer whales and the occasional passing shark are the main predators of the chinstrap penguin. Female chinstrap penguins lay 2 eggs in a nest made out of stones on one of the rocky Antarctic islands, in November or December. 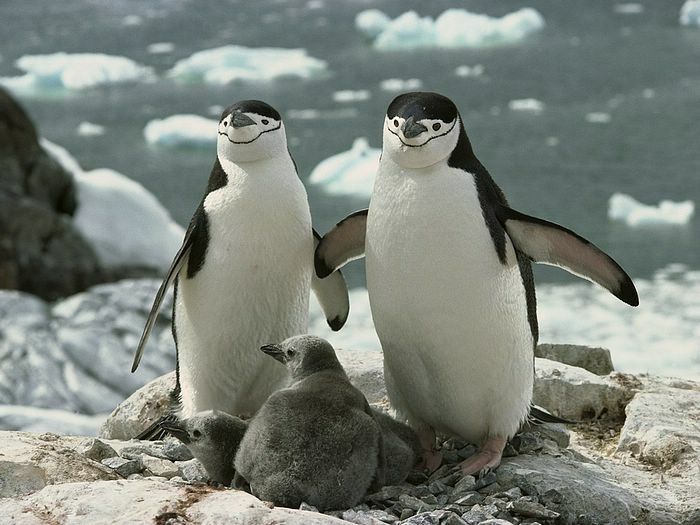 The male chinstrap penguin and the female chinstrap penguin both take it in turns to keep the eggs warm, with the eggs hatching after about a month. The chicks stay in the nest until they are about a month old and are fed by both the female chinstrap penguin and the male chinstrap penguin. 0 Response to "Chinstrap Penguin"